What Pomegranate Health Benefits Are Found in That Little Berry? If you have never eaten a pomegranate, you don't know what you're missing! Pomegranates are not just a fruit; pomegranates are a super food filled with healthy vitamins, minerals, and phytonutrients. With more and more research being done on the health benefits of pomegranates we are learning more about how this powerful fruit can keep our bodies healthy. Also known as the "Granada" or the "Chinese Apple" the pomegranate is widely known for its fruit as well as its juice. The pomegranate originated from India and Persia, but was brought to America by the Spanish settlers. Now grown all over the world, the pomegranate season is between September and February. It grows in warm climates and is resistant to droughts. About the size of a grapefruit and reddish in color this fruit is packed full of essential nutrients. There is no doubt that the pomegranate fruit is a super food due to is large amount of beneficial ingredients. High in vitamin C, the pomegranate contains other vitamins such as vitamin B5, vitamin A, and vitamin E. In addition it is chock full of minerals such as calcium, potassium, and iron which add to its many health benefits. The seeds within the pomegranate are also a great source of fiber. With three times as many antioxidant properties as some other antioxidant rich foods, the pomegranate has many polyphenols such as tannins, flavonoids, anthocyanins, catechins, and ellagic acid. These phytochemicals enhance the pomegranate fruits ability to minimize the effects of aging, tissue damage and disease. This softball shaped fruit packs a punch with its low calories and high nutritional value. Without a doubt the nutritional content alone makes the pomegranate a great source of daily nutrients, however what makes the pomegranate even more amazing is its health benefits. By consuming the arils (juice filled seeds) or drinking pomegranate juice you will get a dose of cancer fighting, anti carcinogens and anti inflammatory rich food. Pomegranates improve the blood flow to the heart, which improves blood pressure and reduces the risk of heart disease, heart attack, and stroke. It also has been shown to reduce the risk of atherosclerosis by breaking down plaque build up in the arteries. In addition it reduces dental plaque, which causes tooth decay. As a powerful antioxidant, pomegranates slow the absorption and oxidation of LDL, also known as bad cholesterol. LDL is a huge contributor to cardiovascular disease, diabetes, and arthritis. Therefore pomegranates decrease the risk of these diseases by flushing fat out of the digestive tract. 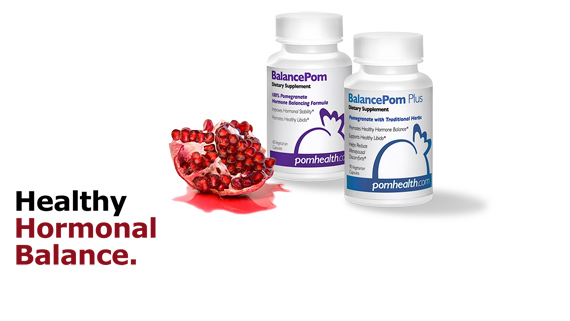 Pomegranates boost the immune system by decreasing bacteria and viral infections within the body. Although in the early stages of research, pomegranate juice has shown significant signs of suppressing cancer cell growth in cases of breast and prostate cancer. Additionally pomegranate juice slows the deterioration of human cartilage, which causes osteoarthritis. It also keeps blood platelets from clumping together, which forms deadly blood clots. Now that you have seen all of the health benefits and nutritional value that pomegranate fruit and pomegranate juice have, there is no way you should not include this wonderful super food in your diet. When pomegranates are not in season, there are plenty of brands that offer pomegranate juice as an alternative. Drinking 8oz of pomegranate juice or eating 1 medium pomegranate a day will provide you with the essential nutrients and health benefits that the pomegranate has to offer.